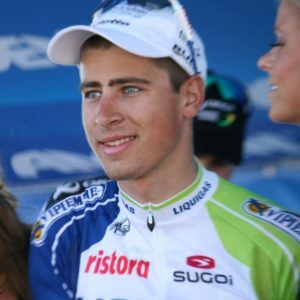 The 2019 Paris-Roubaix betting odds on Peter Sagan suggest he’ll rush away from the pack on this famous race but with the weather likely to be against him, and the cobbled roads never a pleasant experience could the price of 3/1 available at Unibet, one of the best online betting sites in France these days, be a tad misleading? Sure he’s got the experience and the power but when the rubber meets the road and the road is covered in slippery cobbles anything could happen. Riding from Paris to the Belgian border in a single day isn’t something the sane would consider, however sanity is not a major part of the modern competitive cyclist’s make up. Whatever isn’t muscle and sinew tending to be the sort of cutting edge pharmaceuticals that make science fiction writers worry about dystopian futures populated by the chemically enhanced. Not that the 2019 Paris-Roubaix betting odds on Peter Sagan suggest he’s on drugs, just on particularly good form. Having won last year the 2019 Paris-Roubaix betting odds on Peter Sagan reflect not just his chance of winning but of being one of the few to do so twice in a row. That 3/1 he’s getting puts him well clear of his rivals despite the fact he’s not actually managed even a podium finish in a one day road race so far this year, and if you’re going to bet on sports in France this weekend you’ll have to weigh up his chances following that surprisingly lackluster Tour of Flanders. Of course he’d be the first to point out he got very little support to chase down Alberto Bettiol and the 2019 Paris-Roubaix betting odds on Peter Sagan possibly indicate the team will be rallying around the defending champion on the road. The only issue there is that perhaps one of the reasons he needed the support was because he didn’t have the legs in Flanders, that he’s still recovering from his recent illness and the bookies are throwing him out as the temptation bet. And it is tempting. To put the 2019 Paris-Roubaix betting odds on Peter Sagan into some perspective his nearest rival, according to the bookies like Unibet, one of the best online sportsbook sites in France at present, John Degenkolb (who was winner back in 2015) only gets a paltry 10/1. That barely puts him ahead of Greg Van Avermaet and Alexander Kristoff who both get 12/1 themselves with a scant cushion of chance ahead of Belgian Yves Lampaert. Lampy gets 14/1 to win and could well surprise a few people in the peloton, which is perhaps more than can be said for Oliver Naesen and Wout Van Aert who the bookies like Unibet give a rather generous 16/1 to despite it being unlikely they’ve the legs to take a win on this ridiculously challenging road race. The 2019 Paris-Roubaix betting odds on Peter Sagan winning might seem a tad bizarre but it takes a special sort of rider to grab victory on this ride, and he’s one of them. First ridden in 1896, it is only in recent decades that the winner has been given a mounted cobble to commemorate their victory. Those cobbles play their part. 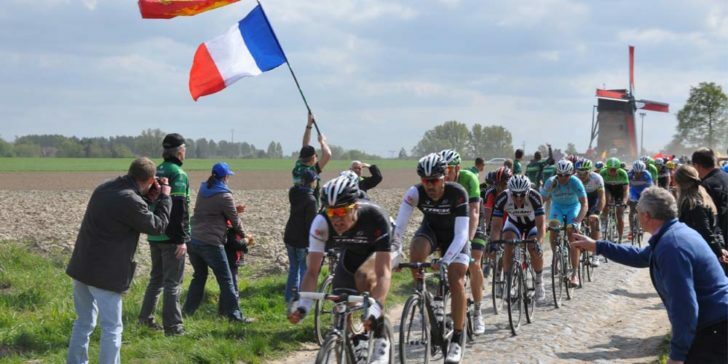 With some small chance of rain on the day (plus a rather breezy wind in their faces much of the way) those 2019 Paris-Roubaix betting odds on Peter Sagan could well fall by the wayside after a wet cobble wobble and you might instead want to take advantage of French gambling laws to back one of the other riders.